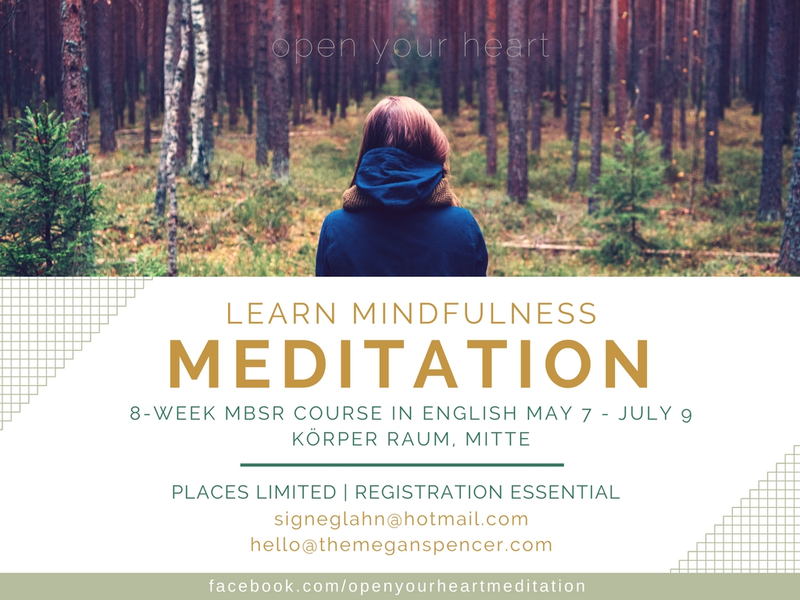 That “Open Your Heart MBSR Program” is an 8-week group mindfulness meditation course designed to allow participants to explore and experience various mindfulness and meditation exercises and practices, as well as different strategies for responding to stress. That some introspection and self-reflection is involved, and during some exercises, gentle movement. That meditation and mindfulness activities are not designed to take the place of personal therapy or medical intervention, and are not a substitute for any kind of treatment, required or otherwise. That by taking part each participant understands and agrees that they are solely responsible for their own individual health, well-being and self-care. That during the course, each participant will listen to the instructions carefully, and to their own body and mind. Participants will not do any practice they believe to be unsuitable for their current state of mind or body at any time. If there are any doubts the participant will ask for modification, further instruction or cease the practice. That participants must complete a registration process, which includes filling in a pre-registration form and attending orientation. That the organisers reserve the right to refuse any application to attend the course. That as well as attending the 8 classes, and the Practice Day, the course also entails up to an hour of daily homework. That ticket refunds are not possible after 18:00, Thursday 4 May 2017, unless the course is cancelled by the organisers (or at their discretion.) Please note that a minimum number of participants is required for this event to go ahead. These are the Terms & Conditions for use of the “Open Your Heart MBSR 8-week course” May 7 – July 19, 2017. Please read and consider carefully before registering.